For #ThrowBackThursday (and for #ArchiveDay on Saturday), I am republishing posts from my old Livejournal Blog, Ordinary Time. Because I am getting ready to do a blog hop on writing process at the invitation of Teagan Kearney, and because I have recently renewed my acquaintance on Twitter with the writing instructor whose course I discuss below, the lovely Rosanne Bane, this seemed an appropriate entry to revisit. It was orginally published here in July 2008. I am hoping Rosanne, whose blog and Imagination, Ink newsletter I still find useful, will not find it too irreverent. I highly recommend her book Around the Writer’s Block. You can follow Teagan on Twitter @modhaiku, and Rosanne @RosanneBane. “Three hours a day will produce as much as a man ought to write.” Anthony Trollope, Autobiography. Anthony Trollope – one of my favorite Victorian novelists, both in terms of the quality of his work and the character of his life – knew what he was talking about. He paid a servant £5 a year extra to wake him up at 5:00 a.m. with a cup of coffee. He was a novelist from 5:30 to 8:30, then he stopped writing – in mid sentence, if necessary – and went to his job as a functionary in the post office, where he found time to invent what the British call the “pillar box,” allowing mail to be picked up en route more efficiently. If he finished a novel at 8:15, he started in on the first 250 words of the next one. By working in this way he produced 47 novels in the course of his lifetime, including some of the best portraits of clergy life, and the effect of that life on families, that have ever been written. I could do much worse than to follow the advice of Anthony Trollope. Yet I find myself wondering what on earth Anthony Trollope would make of the class I am taking right now – not a class on writing itself, but a class on The Writing Habit. Why would someone who can push a button on her Mr. Coffee in the morning and save £5 on a servant need to take an 8 week, $240 course in order to find time to write? I’m not quite sure, but there are sixteen of us. We meet from 5 to 7 p.m. on Tuesdays in a classroom at Open Book, the arts organization in which the Loft Literary Center is housed. Our instructor is a popular “creativity coach,” a warm, friendly, humorous woman who has made a business of figuring out how to motivate people to do this work. The first half hour to 45 minutes is “check in time,” where we each report on the goals we had set for ourselves the week before in terms of establishing that habit – goals we witness and sign in pairs to hold each other accountable. The goals are divided into three areas – “process” time, in which we are supposed to focus on creative activities that “prime the pump” but do not necessary result in product; “self-care,” in which we make sure to replenish the resources that make creativity possible, and “product time” in which we work on a particular project that we are trying to move forward. In the time we spend gazing at our respective New Age navels, Trollope would have written 2000 words. Let me say right off that I like my instructor, even if she may be the Unholy Love Child of Stephen Covey (The Seven Habits of Highly Effective People) and Julia Cameron (The Artist’s Way). “Who wants to go first next?” she asks. We are doggedly unhierarchical, and fight over the ironic delight of being the last person to go first.Someone admits that they forgot what their process goal was this week, and did something else instead. “Was it in the spirit of your process goal?” we ask. If so, that’s OK. We debate for awhile over whether taking a walk is process time or self-care. The technical answer? It depends. People can spend an inordinate amount of their check-in on their self-care regime. We learn who has meditated six times a week, who is getting eight hours of sleep a night, who is buffing up at the gym. I think of the desperate middle-aged job seekers in Barbara Ehrenreich’s Bait and Switch: The Futile Pursuit of the American Dream – the book I had the misfortune to be reading when I was forced out of my own job. The longer these people remained unemployed – the more looking for a job became the job – the more escape seemed to be found on the treadmill. If you’re not going to be going anywhere anytime soon, I guess, at least you can burn up some calories. Occasionally one of us admits that we completely forgot to put in any product time. We scrutinize that person’s activities carefully, because inevitably there is something hiding in the week that “counts” as product. We must go easy on ourselves, to avoid building up creative resistance, or giving in to the Saboteur. OK, my Saboteur is a little cynical. Sometimes I need to tell her to just shut up and listen. We do a guided imagery meditation to free up our imaginations. Yada, yada, yada. I walk along the frickin’ beach. You come to a spot that is marked with an “X”- just like it would be if you were walking on a treasure map – and you start digging. Eventually you pull up a beautiful box, and when you brush it off and open it up it is brimful of treasures. These treasures are all the thoughts and feelings and experiences you have to write about. Now open your eyes and write down everything you saw in the box. There is only one thing at the bottom of my imaginary velvet-lined box. A band of gold I took off six years before. I cry through the whole hokey exercise. Anthony Trollope sits in the chair next to me, embarrassed and confused. Women are never prepared for these things. The imaginary hankie he pulls from his breast pocket is of no use to me, and the Saboteur has to run to the rest room for toilet paper. Tears splash down on the hand I hold discreetly to my sniffling nose. A thoroughly enjoyable post – humorous & informative. Antony Trollope’s example is definitely one to aim for – the writing bit, not the Post Office bit – I’m trying for that kind of determination – it’s good to have goals, isn’t it?. I did 2 courses – no navel gazing – but yes, the idea was to develop what was called ‘the writerly habit’. One of the memorable comments from a tutor on a returned assignment was ‘I am so sorry to have to give you this mark.’ Yeah, if you’re so sorry, why are you giving it was my mental response. But I did learn a lot, especially from the feedback. Thanks for mentioning the class we shared in such wonderful detail. To echo Teagan’s comment above, I’m sorry I had to make you cry. But I’m delighted to know you’re still writing! P.S. I think I’m honored to be the Unholy Love Child of Stephen Covey and Julia Cameron. 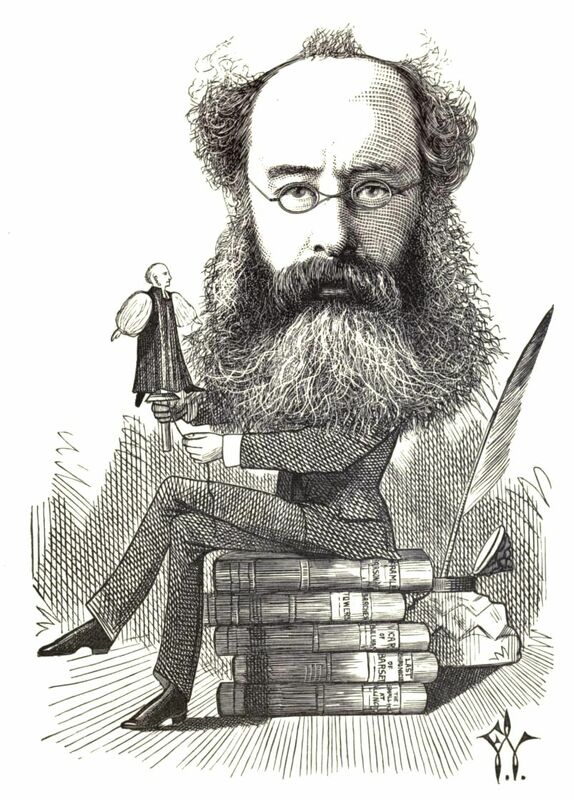 I love Anthony Trollope and even enjoyed my student Christmas job delivering the mail. But your checking in on hours of sleep really made me smile – what if they then started recounting their dreams? Could go on for ever! You’re right, Anne. It could. Fortunately Rosanne was a pretty good monitor; we always had time to focus in on a writing exercise or two that brought things back to center. Most interesting…. I have never attended anything like this, but I think it’s more of a US type of thing than English, anyway. I just sit at my laptop every morning and write. But I’m a great believer in ‘whatever works for you’, and if it works for someone else, don’t knock it. I also realise that I’m lucky that I feel ‘motivated’ to write all the time (maybe too much so, sometimes, as I neglect other ares of my life) and have few distractions. I do hope you can work past the wedding ring thing soon! I’ve been divorced twice and have had 3 other long term relationships that have ended; I know what a long time it takes to put it all behind you. I love the Trollope bit – I also love what you said here: In the time we spend gazing at our respective New Age navels, Trollope would have written 2000 words. <<< it's why I've said in blog articles before, while you're on Facebook writers' groups talking about how to find the time /get motivated to write, you could be writing…. Thanks for stopping by, and sorry it took me a day to get back; working on the next post. Sorry I accidentally sent people to a dead link of yours the other day. By some calculations, I’m told, it’s supposed to take you a third of the time you are in a relationship to get “over” it. The story was written a few years ago; I’ve been divorced ten years now. The marriage lasted 22. During the recession I was rather desperate, and figured it was time to sell the ring. The guy I was dating at the time did a lot of selling things online, and he had a gold scale. When he went to weigh it he found he didn’t have counterweights small enough to balance its value. “It weighs a dime and a postage stamp,” he told me. “It’s going to be worth more to you in memories than it will ever be worth to anyone else.” So I took it back, and at some point thereafter it disappeared. I hope the Borrowers are getting good use of it. Yup, yup and double yup to the Facebook bit. I think it depends on your own personal emotional travelling time, to be honest. I get over things quickly, because I am scared not to do so, which means jumping into ill advised rebound relationships!!! Both too quick and too slow have their downsides. I love this!Anthony Trollopes writing habits scare me and I am equally cynical of new age processes…but guiltily continue to be drawn to them. This piece made me feel that its OK to be like that while making me laugh. Thanks. This post is so close to home for me. I’m particularly intrigued by the imagery meditation. I have a little writer’s toolkit that could work for that. Then, I need to be harder and easier on myself. There are times I could write, but I don’t have the gumption. There are times I beat myself for not writing, when in fact I have done scribbles of notes for WIP’s. Glad it resonated. Anything that works, as Terry says. Imagery meditation. A special pencil. Whatever. I find morning writing before my “real” job very hard. Unlike Trollope, I can’t get up in mid sentence and get into postal mode; so either I am fussing about what is ahead of me at the office, and not focusing on my writing, or I get into the writing and I’m late for work. Thank you, Jan. Blogging has helped me develop a regime, although I never seem to feel like there is enough time, and I always seem to push my publication deadline until the last possible minute.